The Carse of Gowrie Sustainability Group welcomes you to the heart of the Patrick Matthew Memorial Trail, and his resting place in Errol Graveyard. This part of the trail also includes research and study and art work that the children from Errol Primary School have carried out into Patrick Matthew’s strong connection with the village. Patrick Matthew died, penniless, on the 8th June 1874, and was buried in Errol graveyard. No headstone has ever been located, and the exact location of his grave was lost in time. More recently, research by a local historian, Peter Symons, involving the original burial records, confirmed that Patrick, his wife, an aunt and two daughters are interred in plot 184, purchased by Patrick himself. The plot also contains one later burial, marked by a headstone dated 1924 - a distant family member, Alexander Fraser. The exact spot, marked by the red flag in Photograph 1., where Patrick Matthew is buried was only determined by Frank Gibson of PKC Burial Services in June 2017, after a detailed site survey and in conjunction with the original burial records. The image alongside (Fig 1.) is a copy of the photocopy of the page of the original register of burials in Errol burying ground, in division number 184, which belongs to "Peter Matthew, Esq. of Gourdiehill". Fig 2. Archive Lair Plot Layout, Errol Graveyard, PKC Burial Records. It is believed that Patrick is interred in the Middle Lair, and Alexander Fraser in the North Lair (see Fig 2). 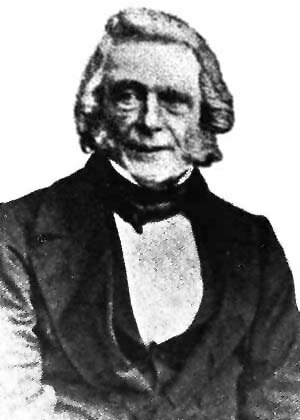 In the future, once ownership is transferred to the living descendants of Patrick Matthew, they plan to erect a fitting family headstone to commemorate his resting places and legacy. 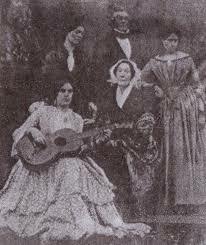 Photograph 2: Patrick Matthew, his wife Christian, and three daughters. Unknown date. One thing that is known about Euphemia (1826-1915) is that she was involved in keeping the family records. She is mentioned as the keeper of the Oliphant family genealogy by Millar, 1890, and also consulted as a source of Matthew family history by Calman in 1912 (Patrick Matthew Project, 2017). Kept in the National Records of Scotland, is an original letter sent to Miss Euphemia Matthew at Errol Park Cottage, the date looks like 1898 but it isn’t clear. 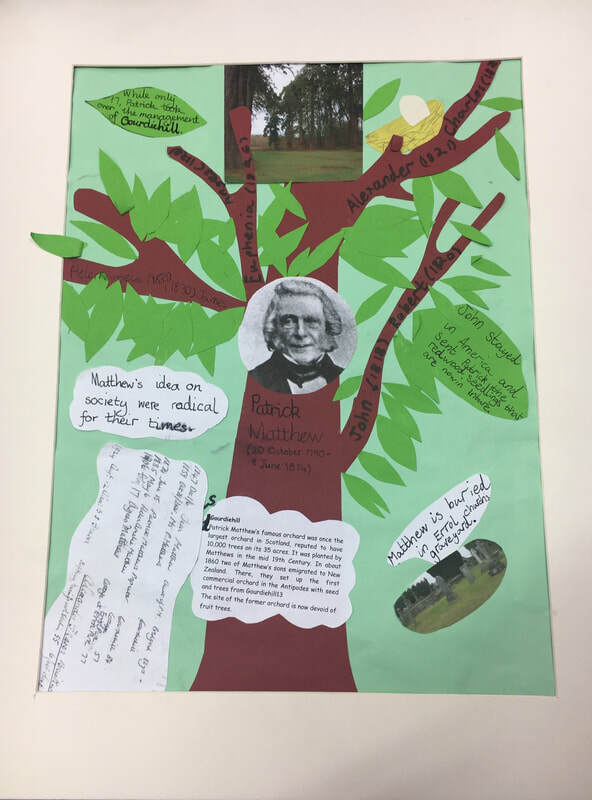 Since March 2015 the Junior Carsonians, the pupils from the six Carse Primary Schools, undertook the following aspects of Patrick Matthew, life and his descendants. 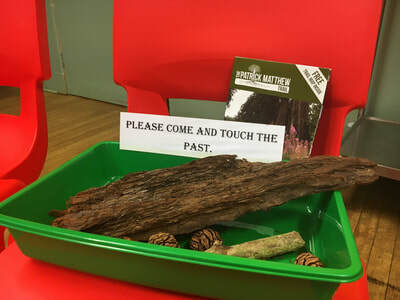 Although given the area through discussion, the response is very much that of their own making with support by staff in the schools and sources provided by members of the Carse of Gowrie Sustainability Group. They also were able to access information from members of their local community. All of the work undertaken by the JCs is shared in a range of ways with the wider audience of the their school community – displays, talks, presentations at assemblies and discussion with peers. The work is set within the context of Curriculum for Excellence Experiences and Outcomes and Skills for Learning and Skills for Life. The JCs explored the travels and lives of two of Patrick’s sons who settled in New Zealand, a reflection of the encouragement Patrick gave to his children. He published his book ‘Emigration Fields’ in 1839. The visual display of the JCs depicts the story of Charles and James Matthew building a life in New Zealand, where they settled and where their descendants still live - – ‘the New Zealand boys’ as the JC’s have named them. The two boys established orchards and nurseries in the Matakana area (North East of Auckland). They described this area as having many similar features to the Carse of Gowrie. Today this area of New Zealand is well known for its market gardens, fruit growing and farmers’ markets. The children used, as source material the book is ‘Shadows on my Wall, Memoirs of Errol Jones’ (2010). Errol was Patrick’s great granddaughter and she died in November 2016 on her 102 birthday. They also used photographs and oral histories from Ian and Coral Bell when they visited Matakana and Jones descendants in February 2016. The artwork below is their contribution to the JC Exhibition at Errol Village Hall in Errol from Saturday 29th September-1st October from 10am-4pm. This project is hosted by the Carse of Gowrie Sustainability Group and funded by the Heritage Lottery Fund.